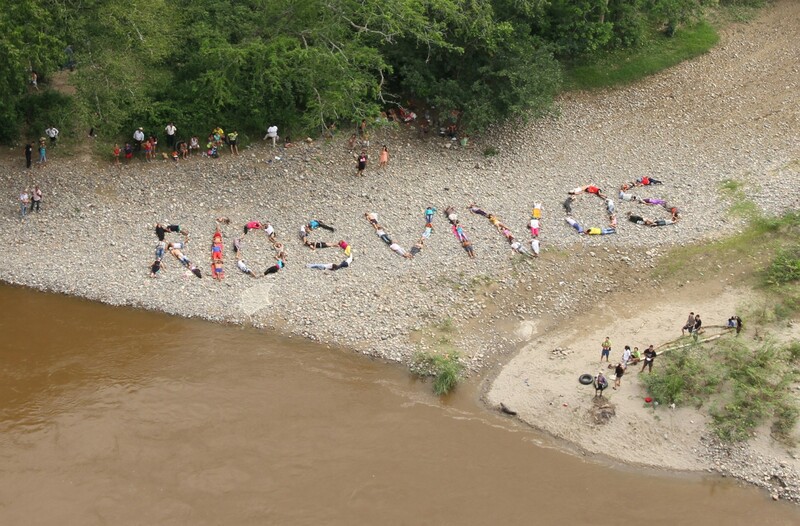 Communities along the Magdalena river affected by el Quimbo dam in Southern Colombia struggle to remain closely knit as a collective body, holding their ground and refusing to leave the territory or give up on their compensation claims, effectively resisting the dismembering strategies that the building of dam supposes. They have used their bodies as political tools in marches, mobilizations and road blockades. But everyday gestures such as remaining at home and fishing have become politicized. The uncertainty brought by the dam has produced a radicalization of these everyday gestures, which are performed with a different kind of consciousness; it has also sparked an increasing number of extraordinary resistance and civil disobedience acts. The sum of everyday and extraordinary gestures and actions intrinsic to the social, political and environmental context of the river is what I call geochoreographies. countering the dehumanizing effects of the dam. 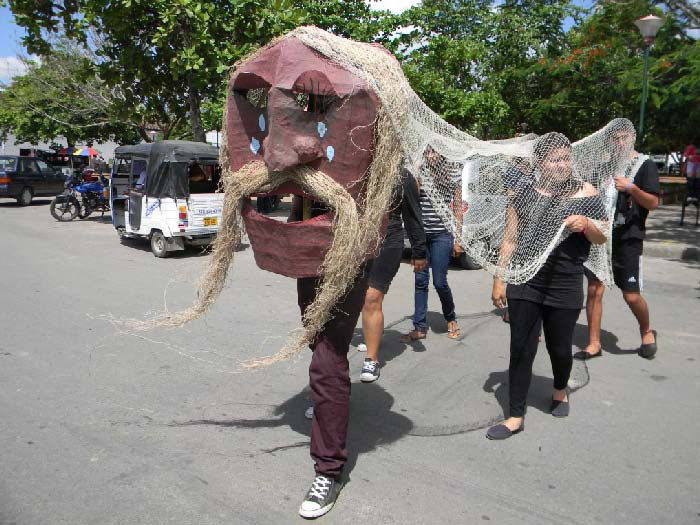 Between july and december of 2014, as part of the Jaguos por el Territorio Collective, I collaborated with the communities and youth grassroots organizations affected by El Quimbo dam, facilitating a series of theatre, performance art, circus and puppetry, video and contemporary dance workshops, that reinforced the body as a political tool. The outcome was a series of geochoreographies in urban, rural and riverine public spaces, that challenge the corporatization and privatization of public space in the rural context, and acknowledge the interconnectivity of bodies: the corporeal body, the body of the river as a social actor in this conflict, the community as a collective body, the ecosystem as a body of relationships, and the hydroelectric dam as an alien corporation body. 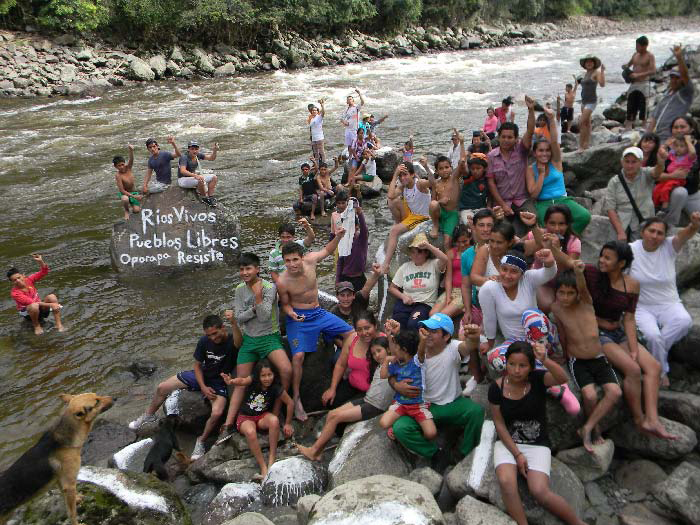 GEOCHOREOGRAPHIES is a project that highlighted the significance of public, accessible rivers and riverbanks in Colombia. It presents choreographic performances, which are the outcome of regional workshops conducted with the local youth in locations where traditional, everyday activities associated with riverbanks and rural life take place, and are threatened by geographical and ecological privatization processes. 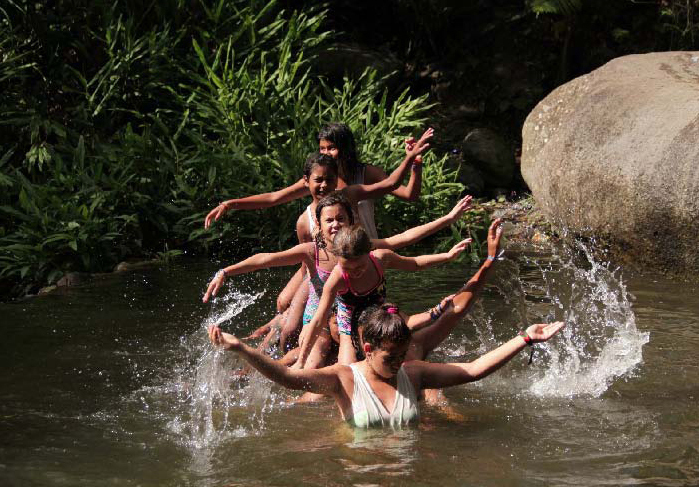 Rural spaces and their natural ecosystems are the basis for the Colombian economy and culture. Over the last two decades, Colombians have experienced the dire consequences of massive privatization processes and seen public rural spaces and natural resources conceded to multinational corporations. Such policies have contributed to an increasingly aggressive militarization of rural space, leaving the indigenous population with little or no access to ecosystems.As a consequence, community displacement and segregation have resulted in the gradual crumbling of rural lifestyles in Colombia. This project aimed to raise awareness about public rural spaces and ecosystems as intrinsic to the development of Colombia. It focused on a specific region, the Magdalena River, and on a specific “colonization” – the El Quimbo Dam, which has already resulted in the displacement of over 400 families. 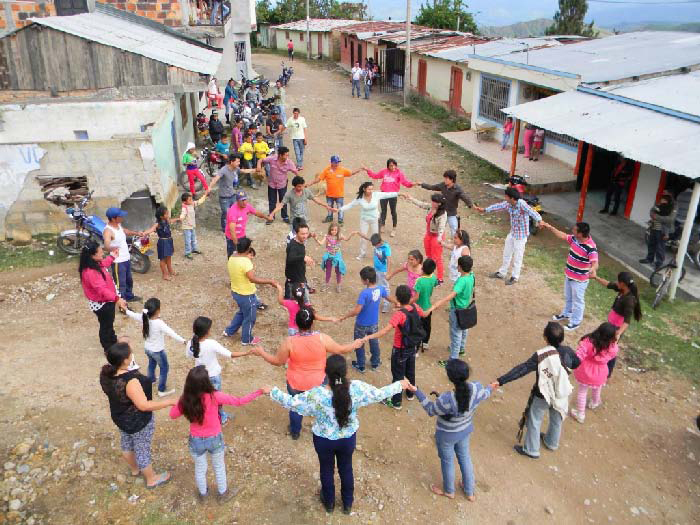 The project set up a model for community emancipation and creative re-appropriation of territory, which not only counterbalances the negative (social, cultural, ecological, archaeological) impacts of the construction of El Quimbo Dam but also inspires other communities nationwide. 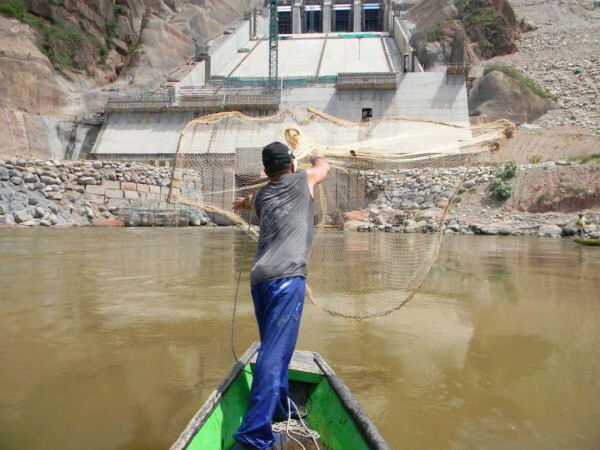 It engaged a wider population in the collective processes of challenging dam construction in Colombia in an effort to decentralize creative manifestations around geographical cultural centres and cultural elites. Project description taken from: Rethinking Public Space Review, Prince Claus Fund 2013. All Images from the Geochoreographies Series. La Jagua, Gigante, Oporapa, El Quimbo, Balseadero, Agrado-Pital.